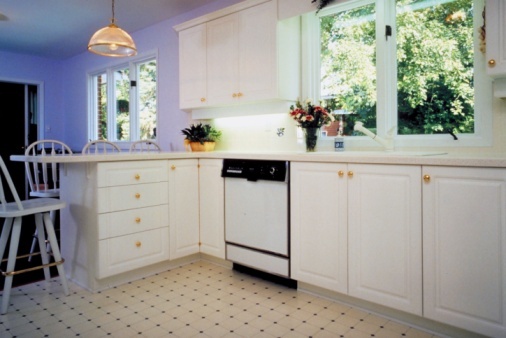 White vinyl flooring is a common choice for bathrooms and kitchens. It looks terrific when it is clean and shined, but as everyone knows, once it becomes stained it can be difficult to restore to the original condition. One stain that can be particularly stubborn is hair dye. Hair dye can stain instantly and it may have you thinking the only option is a nice throw rug, but before you give up completely, here are some tips and tricks to remove hair dye from white vinyl flooring. Each of these tips should be tried in succession until the stain is no longer visible. Blot the stain with rubbing alcohol. 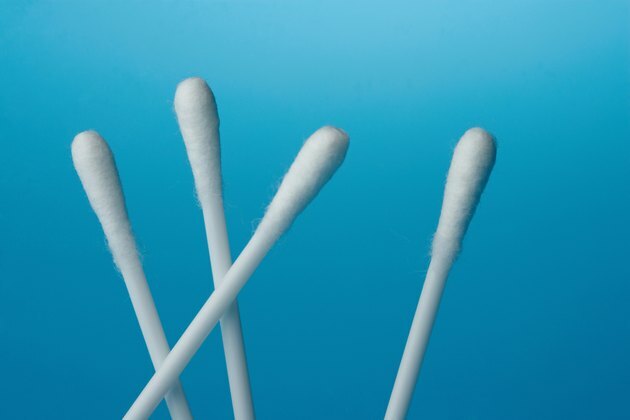 Use the Q-tip or a soft cloth. Avoid using too much liquid at a time. Rinse thoroughly with clean water. Let dry. Blot the stain with a solution of 2 parts water to 1 part white vinegar. Rinse with clean water. Let dry. Rub the hair dye stain with the Mr. Clean Magic Eraser. Rub the stain with mineral spirits or turpentine on a clean cloth or Q-tip. Rinse thoroughly and dry. Spray the stain with hair spray and blot with dry cloth. Make a paste of baking soda and water and lightly scrub the stain. Be careful, as the baking soda is abrasive and can scratch the vinyl. Blot the stain with nail polish containing acetone. Use caution, because the acetone will remove the finish from the floor. Use the nail polish sparingly. Apply wax to the area after stain is removed to restore the finish. Apply Armstrong's New Beginnings Floor Cleaner. This product will remove the finish from the floor, so you will need to apply wax after the stain is removed.